Perfect for Couples Traveling Together! 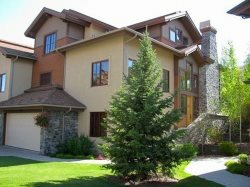 Located in Downtown Ketchum, this 2-Level Luxury Chilali Penthouse with Mountain Views is perfect for couples or small families. GOURMET KITCHEN: The gourmet kitchen is fully equipped and features Granite Counters, top of the line Stainless Steel Appliances and a Gas Cooktop. Counter Seating for 3 at the Granite Island is perfect for casual meals or a snack. LIVING AREA: The living area offers plenty of seating for the group in front of the Gas Fireplace and Flat Screen TV with DVD Player. Not ready to give up the great outdoors? Soak up some of our famous Sun Valley sunshine on the Furnished Balcony with Baldy Views. DESK AREA: Additionally, there is a small desk area and Free WiFi available for those that need to a little work while on vacation. LAUNDRY ROOM: Enjoy a laundry room with Full Size W/D is also located on this level. The team was great specifically helping us with the unfortunate towing of our car on a snowy night. A friend slept over and her car was not in the garage. The staff was unaware we had a second car and didnt tell us about the towing and our friend came later at night and didnt know the roads had to be clear for snowplowing. The staff got us out of the impound lot without charge and picked up the traffic ticket! Yeah Kathy and Kimberly. The condo was exactly as advertised and had all that we needed for a great Ketchum stay. Located 3 blocks from all the best restaurants and well appointed with all the necessary items. FYI The ski locker is just for the owner so skis need to stay at the mountain or in the car so a ski rack would be a smart rental decision.